Planet Jupiter – Guru – Brihaspathi – obtained dosha nivaran himself at the Sri Subramanya Swami Devasthanam, Tiruchendur temple, situated on the shores of the ocean. The transit will take place in the asterism (nakshatra) Mrigashira, 3rd pada. 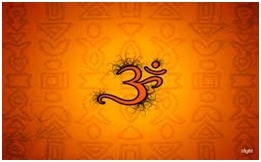 Mrigashira is owned by Mars (Mangal) and the deity for Mars is Lord Subramanya, Murugan. 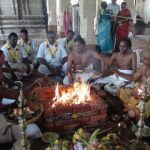 As planet Guru received dosha nivarthi at this location (temple) it is very auspicious to conduct prayers and receive benefits from Jupiter and Mars. From Tuesday, May 28th, 9.18pm Jupiter is transiting and is in the star Mirugasira (3rd part) which is influenced by the planet Mars. Currently, Planet Jupiter – Guru is in Taurus and will shortly move from Taurus to Gemini.